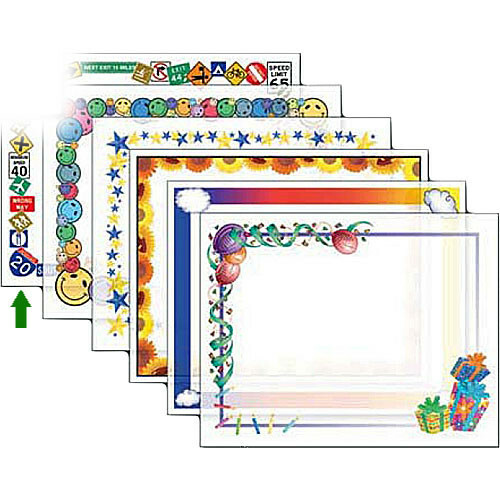 Dry-Lam Pizzazz Decorative Laminating Pouches - Road Signs Pack - Fun Frames 9 x 11.5" (24 Pack), Model D9F205 add character to any laminating project. These decorative pouches are available in fun and classic designs. Save your memories with a unique approach that has flair. These pouches have been adorned with a theme around the edge, which gives them an edge over traditional pouches. There are twelve different designs, available in photo and letter sizes. Choose single-design packs, or an assortment pack of 6 different designs.